Getting settled in Rome and into the rhythm of field walks, drawing sessions, and studio classes. But before posting views of Rome, I want to share a couple of snippets from our visit to Lago di Como and Milano. The first view on the left is from the open deck of a ferry my wife and I took from Varenna to Como, which merged with a later, more expansive view of the cathedral in Como. This is an example of how we often compose the pages of our journals in an improvisational manner, thinking not only of the composition of a view but also how it might be placed on a page or across two pages to interact with previously placed writings or drawings. Sometimes, the result is purely accidental and happily so. 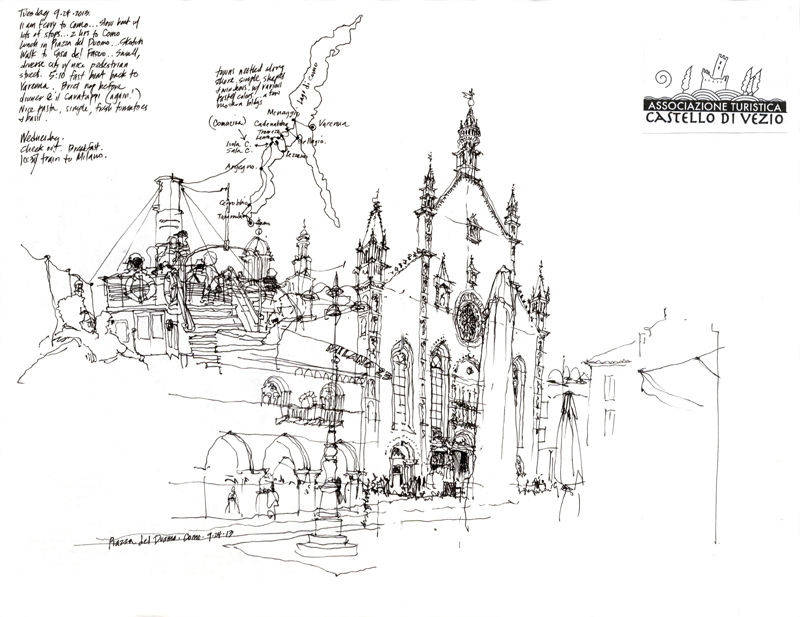 The second view is a very quick sketch to capture not just the Duomo in Milan or the Galleria but rather the relationship between the two—a church of faith and a church of commerce. 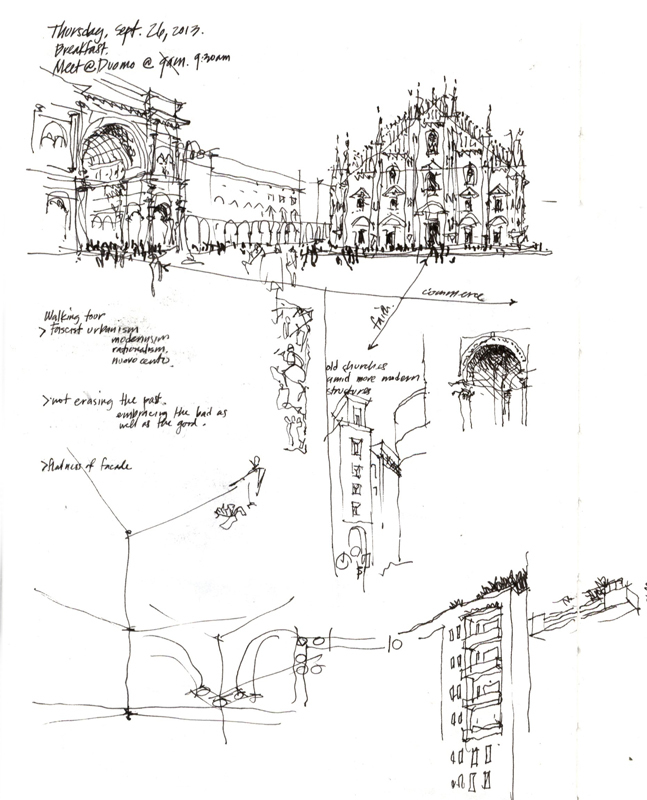 This entry was posted in Design, Drawing, Travel, Urban Sketchers by FC_admin. Bookmark the permalink.